If you have a manuscript ready to submit to our editorial team for review then you can do so here. Join our Facebook group Writers World. We critique and edit manuscripts. Want to learn to write? We offer a ‘Boot Camp’ for writers. This is an online course lasting around 6 months where we take you from punctuation through to writing 1,000 words a day. Many of our authors have published novels after ‘Boot Camp’. We run a critique group on Facebook called Writers World. The participants range from experienced authors wanting to hone their work to new authors wanting to learn the skills. It’s a group where everyone learns from each other. JaCol Publishing started in the summer of 2012 and services a small but wide range of authors. We have both fiction and non-fiction genres and seek authors through Randall Andrews Editing and Writers World Boot Camp. (We also consider outside manuscripts.) Our current annual goal is 12 published books per year. 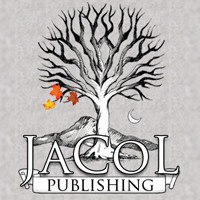 Submissions and inquiries ~ JaCol is happy to look at any serious writer’s work and will give a brief commentary on your submissions. We know the writing experience and certainly a published work can be very personal for authors, and we take great care to ensure the authors we represent not only align with our ethos of quality work but also appeal to the audience we intend to reach. Thank you for everything you did for my book, you put a voice to my son’s story.